Sputnik Sweetheart tells the story of a college drop-out named Sumire, who has plans to become a writer and luckily enough her parents support her and so she spends her time writing and reading and ocassionally talking about everything to the narrator in this book, K. K is a few years older than Sumire and met her at the college, where she was studying literature and K. history. K. is in love with Sumire. She however isn’t even sure that such a thing as sexual desire exists until she meets a woman in her late thirties and she falls in love with her – now mysterious events start to happen. It is an interesting little story with the classic odd Murakami characters and magical realism. 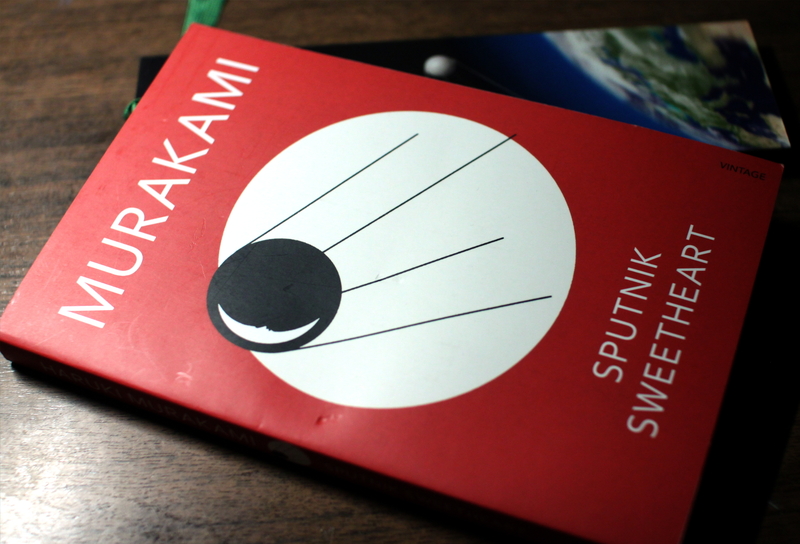 This entry was posted in Fiction and tagged book review, Haruki Murakami, Sputnik Sweetheart. Bookmark the permalink. I love Murakami…almost Kafka in style and so dark! did not know about this book. Thanks for sharing.